Sujit Mahapatra sent us this story. 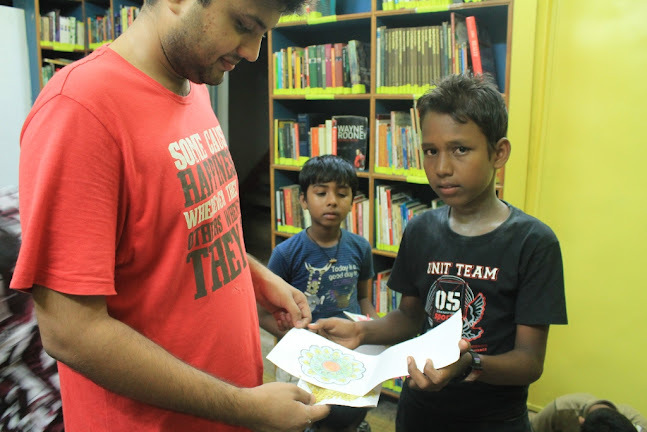 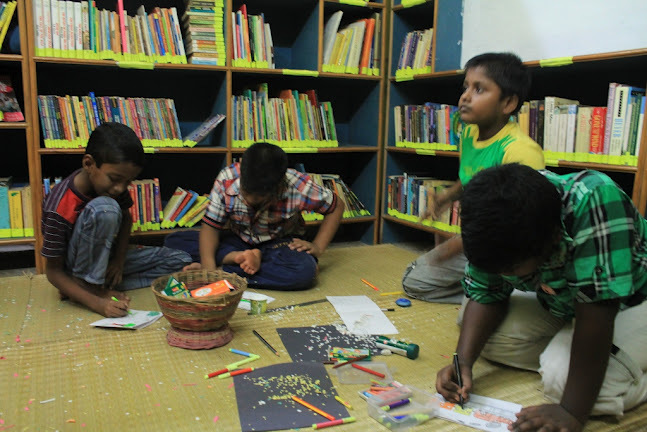 We had a wonderful session at the library yesterday, where I read out Susheela's Kalam's to about 35 children, who then participated in an activity in making their own Kolams on Greeting Cards. 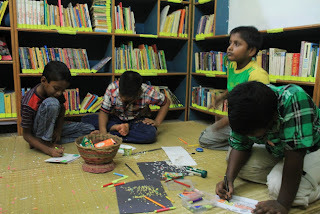 They loved it, particularly the idea of making Kolams everywhere including the Sky. 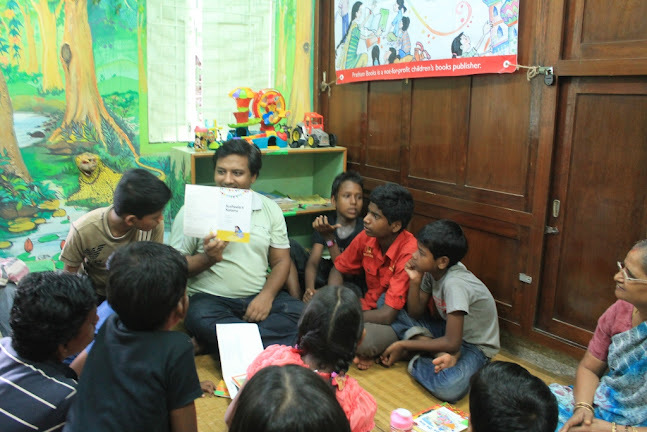 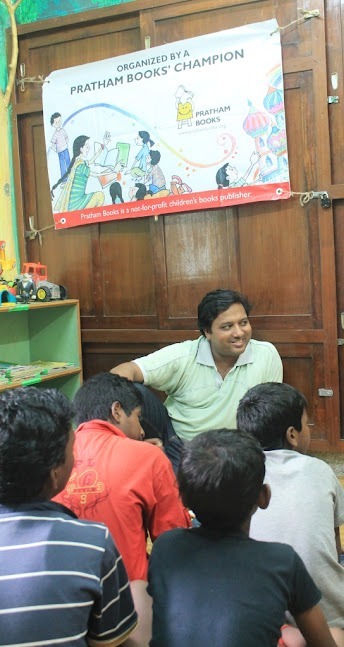 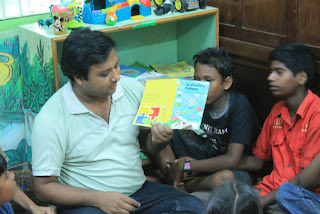 Thank you Sujit for spreading the joy of reading!